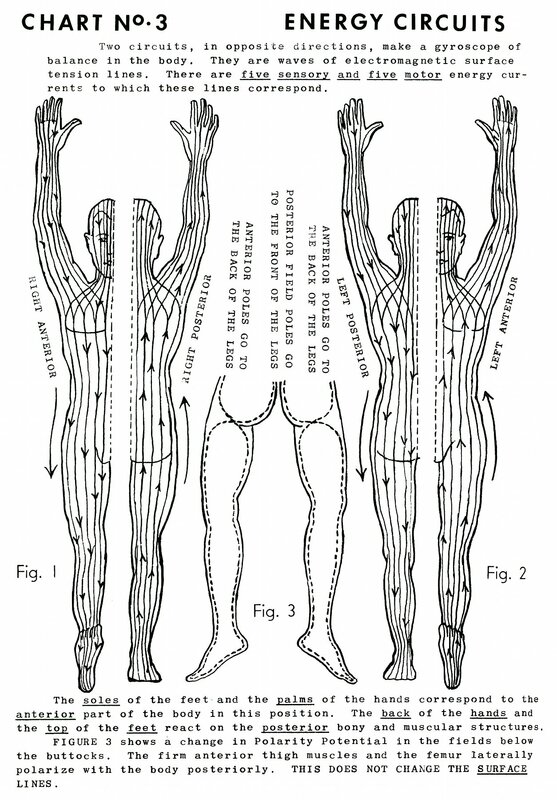 Two circuits, in opposite directions, make a gyroscope of balance in the body. They are waves of electromagnetic surface tension lines. There are five sensory and five motor energy currents to which these lines correspond. 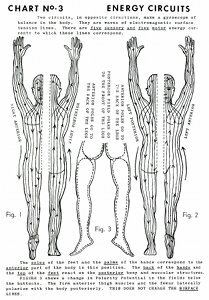 The soles of the feet and the palms of the hands correspond to the anterior part of the body in this position. The back of the hands and the top of the feet react on the posterior bony and muscular structures. Figure 3 shows a change in polarity potential in the fields below the buttocks. 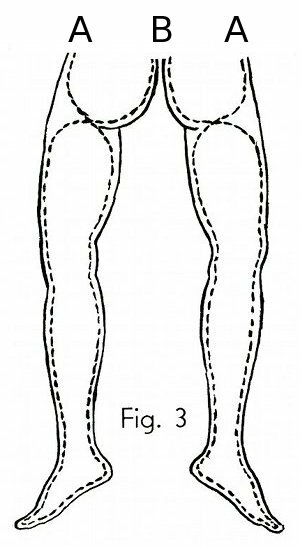 The firm anterior thigh muscles and the femur laterally polarize with the body posteriorly. This does not change the surface lines. Book 5, "Explanation of Chart No. 3"